Absolutely Prime East Broadway Location! Nestled between L St & M Street Park! This Stunning South Facing 3 Family Victorian has Everything you could ever want and more! Rarely available-Enormous Owners Triplex! Enjoy its Formal sized Livingroom & Diningroom with Original Carrara Marble Mantels, China Cabinet, Cornice Moldings & Medallions! Amazing Eat in Kitchen & Sprawling Great Room with Atrium doors out to a Huge Deck! Towering Ceiling Height throughout! Full Scale Living with 3 Bedrooms, 2 Full & 2 half Baths plus Familyroom! Lavish 3 Room Master Bedroom Suite with Large Full Bath, Sundrenched Sittingroom with Bay Window & Giant Dressingroom/Closet! All this and 2 Income Units too! Private Entry 1 Bedroom with Open Living & Dining! Top Floor 1 Bedroom offers big EIK & Sunny Livingroom! Gleaming Oak & Pine Floors are Everywhere! Central Air! Oversized Fenced in Yard! 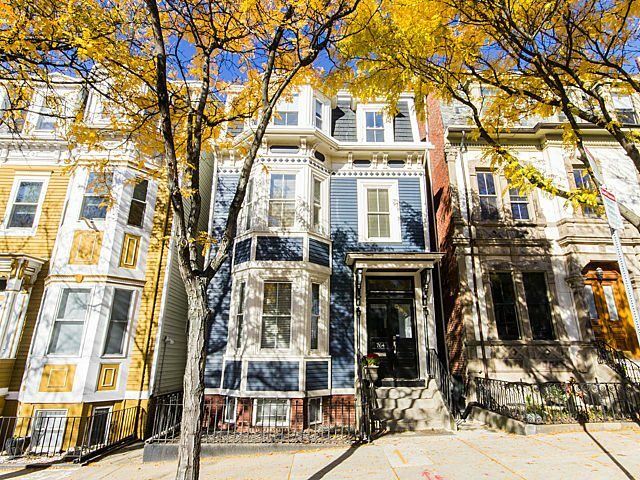 One of the most Desirable Neighborhoods in South Boston! Minutes from every amenity in Town! Investment Grade Home! Click Here for the Floorplans and More Photos!